Every now and then I pretend to myself that I'll write better if I lug my laptop to the top of a mountain. I'd have better views from a cliff up there. The fresh air would clear out the cobwebs. I'd be able to think more clearly. I might even be able to write better. Well maybe. Of course, no matter where I'd trek I'd still be lugging along the same old brain and heart, and invariably I'd still encounter the same creative struggles. But every now and then a change of scenery seems just the ticket. If you're a writer or an artist of any kind who occasionally feels the same way then I ask you this: Why not come to Ireland to write? If such a thought piques your interest, I kindly suggest you check out the following Residential Writers' Centres for some top-shelf treatment. 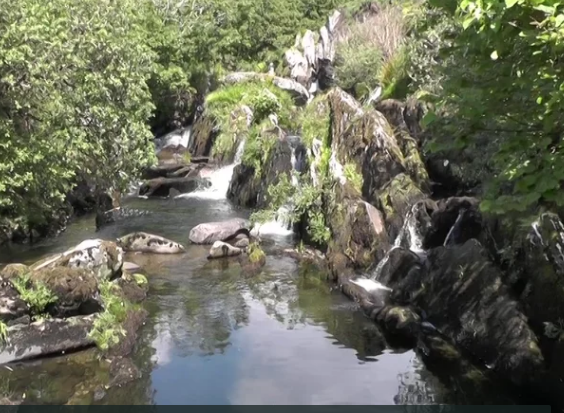 If you envision yourself as something of a country squire and want the idyllic surroundings to go with it, try this stunning centre in County Monaghan. Left to Ireland by the visionary theatre maker William Tyrone Guthrie, the Centre offers a number of residential options. I've stayed there twice to work on two different projects. The room I was given in this 19th Century mansion was stunning with views to match: a comfortable bedroom with a small yet stylish en-suite bathroom, all of which steps down to a front study area. The desk sits below a broad window, offering a vista of green fields and the Centre's very own lake. It's a heck of a place to work, let me tell you, and during the Spring with the windows open and the fresh air on my face, I felt the tension of life evaporate instantly. But the room is only the start. The main house can hold a good 30 people, and they come from all over the world to write, or compose music, or choreograph dance in the on-premise dance studio, or perhaps paint in the art studio. The Centre insists that all artists join together for an evening meal - scrumptious fare prepared and cooked in-house by wonderfully caring staff - for a simple reason: forced to intermix, artists from many disciplines trade ideas. And when they do the results can be mystifying. For instance: I never realized a visual artist might have the same creative challenges as a writer. But they do. They can have issues with structure, tension, form, voice - the same mountains I have to climb when I write. And by talking with them I learned, and as I learned I was able to unravel some project challenges I was facing. The good company is magic but that's not all on offer. The grounds of the house give way to an assortment of wooded walks. The garden is just that: fragrant soil filled with an amazing assortment of botanical wonders and growing veg. And when I sat by the blooming rose bushes to ruminate the house cat came over for a scratch and a bit of company. If you'd rather something a little more isolated (and less expensive) you can also opt for one of five Farmyard Cottages which in addition to a bed and a spot for working offer kitchen facilities. So self-cater away as you figure out how to structure that next paragraph. Or, if you've a mind, travel to the other end of the country, way down to Eyeries Village in the absolutely visually stunning Beara Peninsula, County Cork. 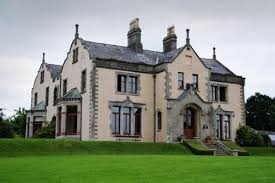 Here, you'll find an absolute gem of a writers' and artists' retreat centre, Anam Cara. Established by American Sue Booth-Forbes over 10 years ago, the Retreat attracts visitors from all across the world. Sue has transformed what had been a relatively modest bungalow into a comfortable wonderful place of solitude, perfect for any artist. Each resident receives their own splendidly turned-out bedroom complete with writing desk. And from most of the rooms the views of nearby Coulagh Bay and Scarrif Island are a wonder. Meals are prepared and served by Sue who acts as parent, muse, and friend to her frequent visitors. To a morsel, the meals are all wonderfully delicious. During downtime, residents can stroll up to the nearby village of Eyeries for a deserved Pint or two. Or walk down to the local strand for a dose of clean, fresh salt air served up by the Wild Atlantic. Or... simply traverse Sue's back garden and climb down the steps into a hidden valley. There, your senses will be assaulted by your very own waterfall and rock scramble which slice through any creative issues you may be experiencing. I've been to Sue's place twice. I liked the area so much - well, I moved to Eyeries seven years ago and have been here ever since. Read on for more information on Anam Cara Writers' and Artists' Retreat. So if you've some itchy feet and want to take your creative passion for a spin, give Ireland's Residential Writing Centres a try. You won't go wrong.